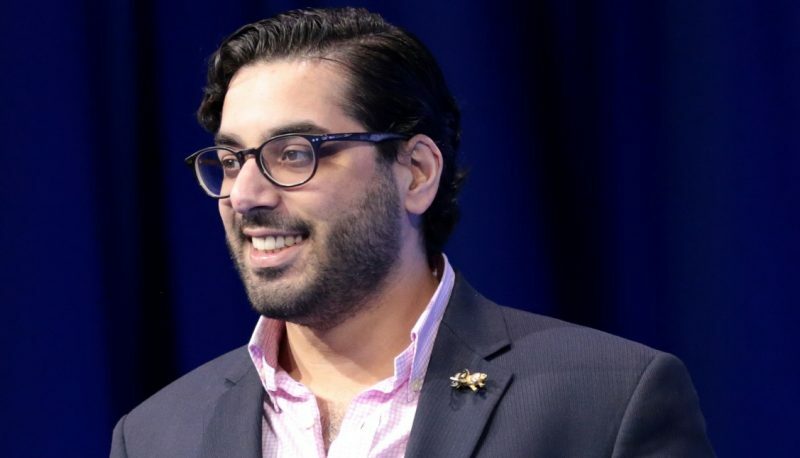 Breitbart London editor Raheem Kassam asked today whether he was wrong to worry that the United States had become a “mafia state” because of the ways he believes that the former Obama administration improperly tried to spy on Donald Trump and his associates. Kassam hosted Center for Security Policy president Frank Gaffney on “Breitbart News Daily” this morning to talk about the State of the Union address that President Trump will deliver tonight, speculate about whether Democrats will demonstrate on behalf of “the Dreamers as they call them, the nightmares as I call them,” and discuss what they agreed is widespread corruption in United States intelligence agencies. Kassam told Gaffney he had his “rose-tinted goggles on this morning” because in reality “we’ve got a massive breakdown of the rule of law in this country,” citing the fact that undocumented immigrants are not arrested the moment they arrive at the U.S. Capitol and his belief that Hillary Clinton should currently be in jail. “You’ve got all these people who are weaponizing the administrative and surveillance and security state going on here. You mentioned confidence in government. You have the lowest ebb of confidence in the United States government in the nation’s entire history. How much further does it need to go, Frank, before we declare that actually the weaponization of the NSC, the weaponization of the FBI, the utilization of foreign intelligence organization—both from former British intelligence and his sources in the Kremlin to keep a political opponent away from the power—is that not the stuff of Putin, Mugabe, Chavez? This is what they do,” Kassam said.